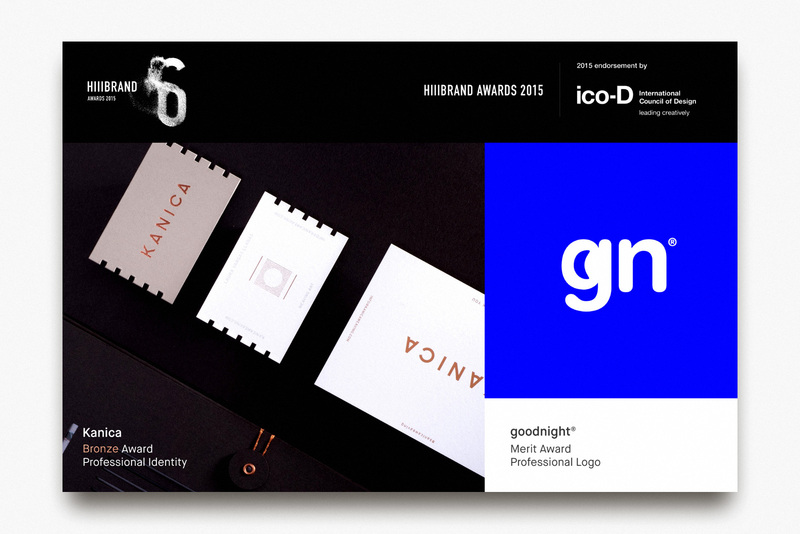 Its a great pleasure to announce that among 972 projects from more than 40 countries & regions arround the world, that competed in Hiiibrand Awards 2015 we received A Bronze Award in the category Professional Identity with the visual identity we created for KANICA | Weaving art & a Merit Award in the category Professional Logo with the logotype we designed for “Good Night”. This year particularly, I'm very blissful to be among the choices of the Judges, as the level of the projects and the contestants in the branding category was exceptionally high with some very respectful studios among them. ico-D, novum, form, TYPO, Curve, 90+10, Graphic Design USA, kak, Emzin, Creative Quarterly, Pool Magazine, New Graphic, IdN, Design360°, BranD, NewWebPick, LogoLounge, CITYCELEBRITY, Branding Magazine, Zupi, ci-portal and more.